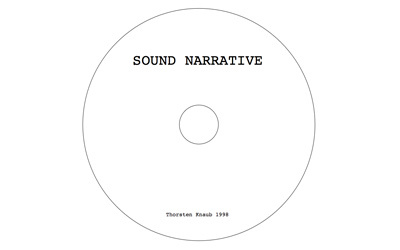 Sound Narrative - an audio collage assembled in the studio using various specially recorded sound effects and layers of sampled compositions to explore the areas between music composition, soundtrack and sound collage. Originally conceived for radio/internet broadcast, the compositions aims to create glimpses of a story/narrative trough the use of sound effects and evoking imagery of the action taking place. Though the narrative content is then submerged again into abstraction without offering a conclusive story line or resolution.